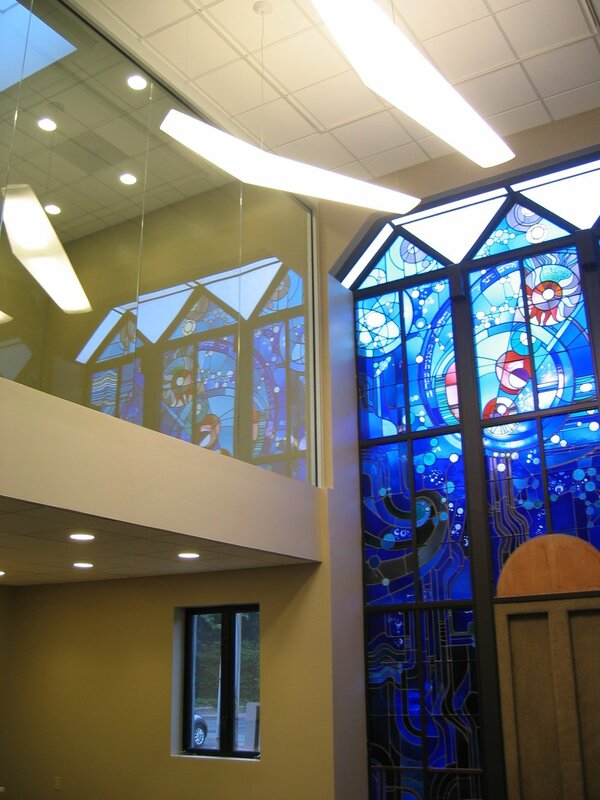 Renovation of all purpose room and former chapel to create a new chapel, and class rooms. Work included the addition of skylights, new windows, modification of facade, new HVAC, audio visual, lighting, ceiling, floors and cabinetry. The roof was replaced. Two floors of classrooms and break-out spaces replaced the former chapel.